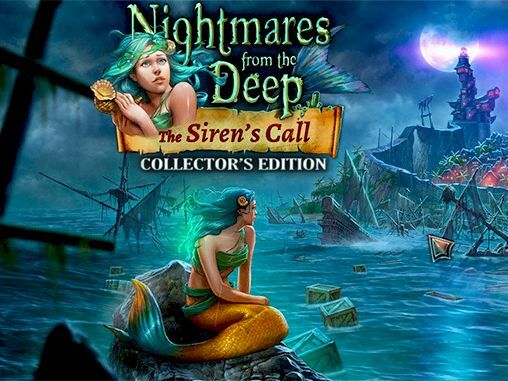 I didn't realise at the time but it turns out the Nightmares from the Deep games are actually a trilogy with The Cursed Heart being the first, and this The Siren's Call being the middle part. 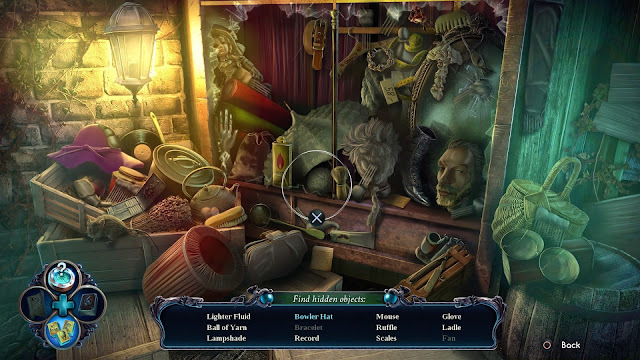 These are hidden object adventure games, though they are the new evolution in that the hidden object part is only one aspect of a game that also revolves around solving simple puzzles. This one takes place roughly a year after The Cursed Heart with museum curator Sarah Black back doing her job. One dark night she is visited by a mysterious messenger who requests her aid in opening a strange package he has. However before that can happen an army of fish men assault the museum and steal the item from you. Teaming up with the messenger she gives chase, eventually ending up at a small island in the caribbean. Here she discovers the towns folk of the island have all been transformed into fish creatures, a result of a curse placed on the island when the mayor made a bargain with Davy Jones to use a captured siren to control a giant kraken that destroys any ships that get too close. This is more of the same for sure but I actually liked this setting a lot more than the ghost pirates of the first game. Firstly the actual plot is less soppy, before it turned out the main antagonist wasn't so bad as he seemed. Here though the mayor is a bad guy (or should that be fish?) through and through. A lot of the game has you following him in a bid to rescue the captured siren, as well as collect the medals that will break the pact he has with Davy Jones. The town reminded me a lot of the classic H.P Lovecraft story The Shadow over Innsmouth which is no bad thing at all, in fact that is the main reason I feel I enjoyed this one a lot more. Also there was a slight feeling of Bioshock in accounts of the people who tried and failed to stand up to the mayor. There are two main areas in the game. You start off in the town itself and the puzzles revolve around you opening the many gates that lead deeper into the town. The aim is to get to the mayors stronghold which is situated in the lighthouse, this lighthouse and the caverns beneath it make up the second major area of the game. As with the previous game there really are not too many hidden object parts, a shame as that is my favourite bit of these things. When you do get them the scenes are not too cluttered and it is quite easy to locate all the objects you need. There are far more puzzles, these include putting cogs in correct positions, changing hands on a clock to match a specific time, and using a stethoscope to open a safe. They are all fine enough but not taxing in the slightest. These sort of games are made to idle away the time, they were never intended to actually be hard to do. As before your handy map shows you places where you are able to do stuff to proceed, you can play Mahjong rather than find hidden items, and you have hints that will show you explicitly what you should be doing next. The graphics and animation are quite basic but they help breath a little bit of life to the static screens you find yourself bouncing between, same with the music, it adds a little bit of atmosphere. 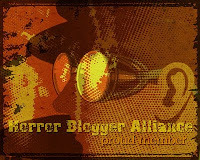 In terms of the horror this is designed to appeal to all ages so again it is quite light on that. The fish soldiers are pretty non threatening even if their overall goal is to use the kraken to sink ships and murder the crew (as can be seen with a handful of ghosts you meet who met such fates). Once the main game is done there is an extra chapter, this one takes place in a secret cavern below the lighthouse where the evil mayor had been conducting research on how to defeat Davy Jones, it was more of the same but was nice enough to see some new locations. Games like The Siren's Call are fine enough to kill some time, but they are not intended for anything more than that. There is some satisfaction from proceeding through these but the feeling of boredom is never too far away. Still this was a better game than the first and so I am sure I will one day get around to completing this trilogy of time wasters.